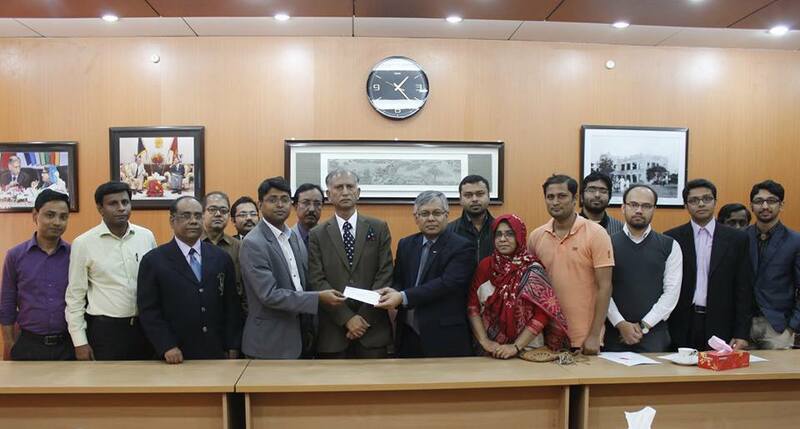 Today the faculty members and officials of IIT handed over a sum of amount to the University of Dhaka authority. The money is solely aimed to award the students of IIT with Academic Excellence Gold Medal that will be awarded to our top class Bachelor (BIT/BSSE) and Master (MSSE) students. The Honorable Vice Chancellor A.A.M.S Arefin Siddique chaired the cheque handover occasion. He appreciated the goodwill and effort of the IIT faculty and officials for taking the initiative of awarding the top class students and hoped that IIT will participate in similar activities in the future as well.